When we have depression, it can be difficult to know what to do with ourselves, and how to heal from the inside out. Depression saps our energy and motivation to do things, compromising our health, our wallets, our self-esteem and our hope for recovery. Medication is a frequently prescribed option but what if you are seeking a natural depression remedy?. Good news, there are some ways to help depression naturally. The important thing to know is that there is light at the end of the tunnel. The natural relief that comes from TMS’ magnetic pulses is a great first start to get the neurons firing and start the healing. 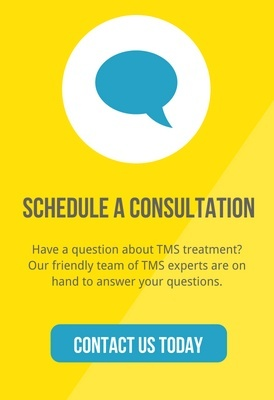 Achieve TMS’ technicians do an amazing job of making sure each and every patient is well cared for. Once you are on this road to recovery, movement and proper nutrition are vital tools that will enhance your outlook. We recommend choosing one healthy habit at a time and sticking to it…and wait and see what happens! The natural ways to help depression can be just as effective without using medication. Why do the holidays increase the occurrence of depression? Our bodies and our minds are equipped to handle only so much stress. The amount of stress placed on the body and mind is called “allostatic load.” Allostatic Load is the wear and tear on the body which increases as we become exposed to repeated or chronic stress. The holiday season has a unique way of increasing “allostatic load” with hectic schedules, socializing demands and poor eating. As the allostatic load grows greater so does our visible and latent signs of stress until we reach allostatic overload. It is when we reach this point, that injury, fatigue, disease and illness begin to set in. A good way to think of allostatic load is like a bucket. The more “things/stress” you put into the bucket, the fuller it becomes until it eventually overflows. The demands of life and depression as a whole, can definitely be a major contributor to filling up the bucket to the brim, but so can things like poor or infrequent movement, nutrition, weak eye muscles, and much more. As the bucket fills, so can inflammation in the GI tract, which is where the absorption of all our nutrients occurs. This has been linked to the worsening of depression. Serotonin, the ‘feel good’ chemical in our brain is made in the gut. If our gut is malfunctioning due to inflammation, the ability to produce serotonin may also be compromised. In fact, depressive and anxiety disorders are often diagnosed from indigestion. The simplest natural depression remedy is BREATHING. The average person takes anywhere from twenty to twenty-five thousand breaths per day. That’s a lot of breathing! Improper breathing mechanics can lead to increased anxiety and symptoms of depression. Try this diaphragmatic breathing drill to start breathing more efficiently and deliver more oxygen throughout your blood to help heal your body and mind. Your brain receives 150 million neural signals/second from your eyes. If your visual system is even slightly impaired, it may comprise your road to recovery. I recommend starting with basic eye strengthening drills like the pencil push-up. When you have depression or anxiety, exercise often seems like the last thing you want to do. But, once you get motivated, exercise can make a big difference. Movement is one of the most effective natural ways to improve your mood and help depression symptoms. Numerous studies have shown exercise to be as effective, or even more effective than, antidepressant medications. Movement is free, and its side effects are all positives, (decreased blood pressure, weight maintenance, improved strength, better sleep). You could even try our favorite movement drills: the turkish sit up. Start with no weight to begin with, and as your strength builds over time, load more weight into your hand. Once you’ve mastered the turkish sit up, you can move onto progressions until you’ve reached the full turkish get-up. Make this a fun experiment with your body. We highly recommend beginning with no weight and 3-6 repetitions per side for 3 sets. Depression can leave you with a loss of appetite, but it is important to get proper nutrition as it can help you heal and reduce feeling stress and anxiety naturally. How you eat and what you eat can make a big difference too with helping treat depression. Try to take the time to enjoy the foods you eat in a pleasant environment with delightful conversations, with people you like. Cook, or go out to dinner and share a meal with a close friend, or even try to host a casual get together like tea and snacks. Your selection of foods can affect your propensity to develop or exacerbate depression which is why it is critically important to choose whole, healthy foods. In fact, Vitamin D and magnesium deficiency can be linked to a trajectory of depressive symptoms. Magnesium deficient people often have gut issues and energy issues. Magnesium is important in helping the body create energy. While Vitamin D helps spur healthy brain function. If changing the way you eat is truly something you are interested in, we recommend a gradual approach. Choose ONE new habit or integration to start with, and build more healthy habits over time. We also recommend that you avoid supplements and opt for whole foods as a means of obtaining your nutrients. Vitamins and minerals in food work synergistically and our body recognizes them more readily than in supplemental forms. Throughout the holiday season and the new year…be well! Abe Al-Baba is an institutionally trained exercise and neural physiologist specializing in performance optimization, nutrition coaching and the development of elite athletes. He is one of San Diego’s Top Trainer’s by Discover SD Magazine. Abe is the Exercise Physiologist & Neuro Sports Performance Specialist in 3 in 1 Elite, his absolute passion is paving the way to a healthy lifestyle through fitness and nutrition. Clientele includes elite athletes, chronic pain, neurological disorder and weight loss.